Welcome to Franklin Legacy Month! This month we are honoring our beginnings and celebrating the founders of the Franklin Planner and modern-day planning, like Benjamin Franklin, Hyrum W. Smith, and Stephen R. Covey. 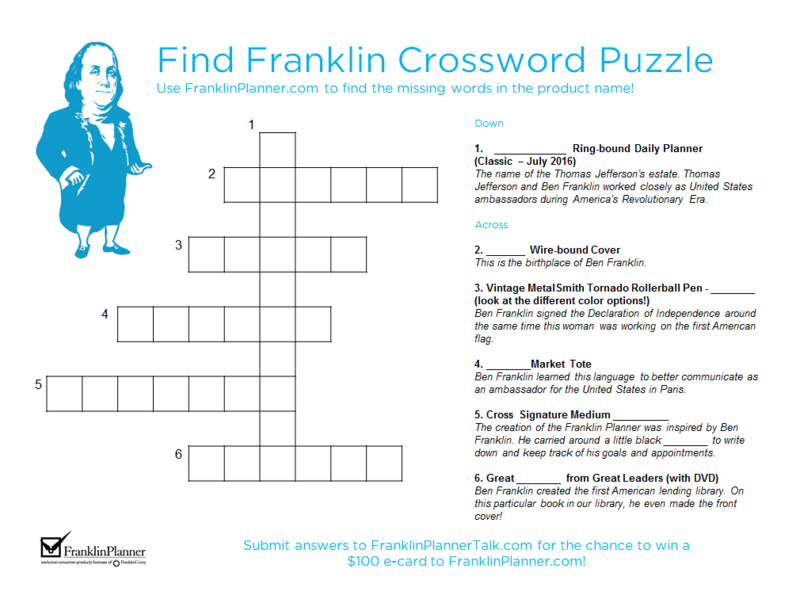 Celebrate our founders by filling out the crossword below to win a $100 e-card to FranklinPlanner.com! Use the clues below to figure out the crossword. 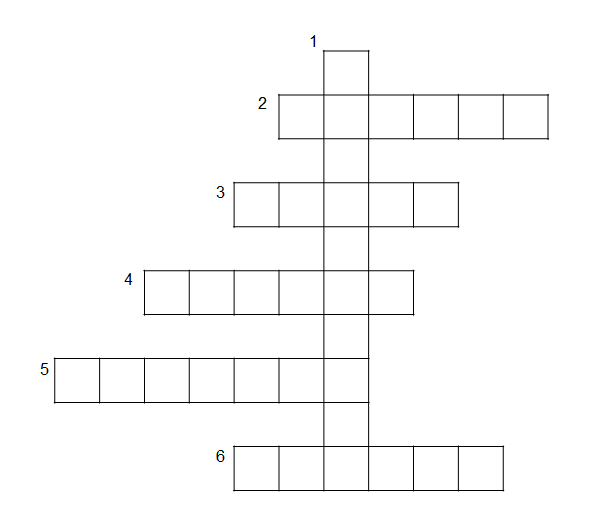 Each crossword answer is part of the name of an item that can be found on FranklinPlanner.com. Use the search tool or category pages to find the missing word from the item’s name. For example, if the clue is “_______ Planning Form”, search for “Planning Forms” in the search bar or go to Planner Accessories > Forms and Tabs and look for an item that has “Planning Form” in the title. Once you think you’ve found the right item, click on that item. If it’s the correct one that goes in the crossword, you’ll see the Franklin icon in the product images below. The complete name of the item is “Goal Planning Form” and the word “GOAL” goes in the crossword. When you’ve completed the crossword, submit your answers in the form below. By submitting your answers, you have entered yourself into the drawing for the $100 FranklinPlanner.com e-card. Submit your responses by Thursday, March 31, 2016 and the winners will be announced Monday, April 4, 2016. The name of Thomas Jefferson’s estate. Thomas Jefferson and Ben Franklin worked closely as United States ambassadors during America’s Revolutionary Era. This city is the birthplace of Ben Franklin. Ben Franklin signed the Declaration of Independence around the same time this woman was working on the first American flag. Ben Franklin learned this language to better communicate as an ambassador for the United States in Paris. 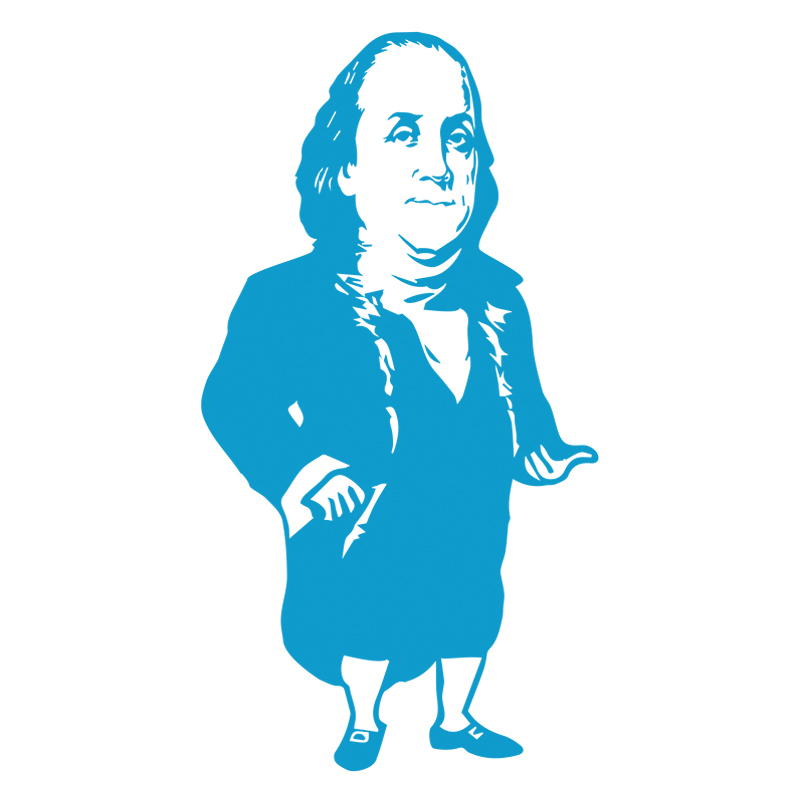 The creation of the Franklin Planner was inspired by Ben Franklin. He carried around a little black _______ to write down and keep track of his goals and appointments. Ben Franklin created the first American lending library. On this particular book in our library, Ben made the front cover! *By clicking “Submit Survey”, you have entered yourself in the contest for the $100 e-card to FranklinPlanner.com! We will be emailing you with more details on how to claim your prize!